The Norwegian solo project, formed in 2013 by Katherine Shepard, will give one concert in Kyiv. 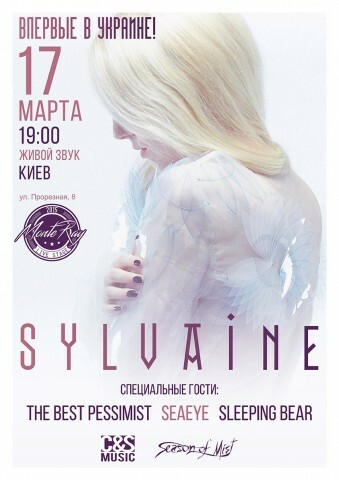 In 2017, Sylvaine will give concerts around the world in support of the second album "Wistful", one of these performances will take place on March 17 in Kyiv’s MonteRay Live Stage. The special guests of the event are the Ukrainian bands The Best Pessimist (post-rock/ambient), Seaeye (shoegaze/dream pop/post-rock), and Sleeping Bear (instrumental post-rock).